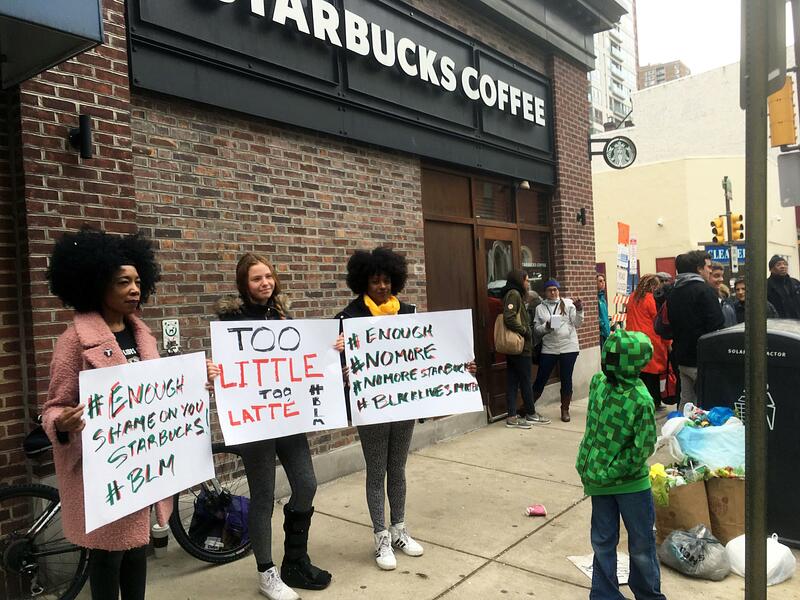 UPDATED: Mon., May 28, 2018, 8:38 p.m.
After the arrests in Philadelphia last month, the coffee chain’s leaders apologized and met with the two men, but also reached out to activists and experts in bias training to put together a curriculum for its 175,000 workers. That has put a spotlight on the little-known world of “unconscious bias training,” which is used by many corporations, police departments and other organizations to help address racism in the workplace. The training is typically designed to get people to open up about implicit biases and stereotypes in encountering people of color, gender or other identities. The Perception Institute, a consortium of researchers consulting with Starbucks, defines implicit bias as attitudes – positive or negative – or stereotypes someone has toward a person or group without being conscious of it. A common example, according to some of its studies, is a tendency for white people to unconsciously associate black people with criminal behavior. Many retailers including Walmart and Target said they already offer some racial bias training. Target says it plans to expand that training. Nordstrom has said it plans to enhance its training after issuing an apology to three black teenagers in Missouri whom employees falsely accused of shoplifting. According to a video previewing the Starbucks training, there will be recorded remarks from Starbucks executives and rapper/activist Common. From there, employees will “move into a real and honest exploration of bias” where, in small groups, they can share how the issue comes up in their daily work life. Alexis McGill Johnson, Perception’s co-founder and executive director, says anti-bias training is about awareness. “The work that we want to do is not say you’re a bad person because you have a stereotype about a group, but say this is why your brain may have these stereotypes,” she said. “We find that oftentimes diversity training has mixed effects, and in some cases it can even backfire and lead people who are kind of already reactive to these issues to become even more polarized,” Lai said. Starbucks has said Tuesday’s sessions serve as “a step in a long-term journey to make Starbucks even more welcoming and safe for all.” It is working with volunteer advisers including Heather McGhee, president of social advocacy organization Demos, and Sherrilyn Ifill, president and director-counsel of the NAACP Legal Defense Fund. “One of the things Starbucks has to wrestle with is how to incorporate this kind of training into the onboarding of every employee,” Ifill said. Published: May 28, 2018, 10:51 a.m. Updated: May 28, 2018, 8:38 p.m.